I would thoroughly recommend this book to project managers, team leaders, and developers. This book is very well written. Rasmusson uses an entertaining writing style that makes it pleasant to read from beginning to end. What I like the most is the author experience. The way he presents the topics dealing with role assignation (chapter 2) and reality in agile planning (chapter 8) is simply remarkable. Jonathan Rasmusson has written a book for today that captures the excitement and value of what agile software development meant to us at the time of the Agile Manifesto. Look to the master, follow the master, walk with the master, see through the master, become the master. Clear, well-written, and extremely useful. This book stays very focused on what matters in building a successful agile practice without being preachy or vague…I’ve read plenty of books on Agile. This one’s definitely in the top three. I highly recommend this book for anyone who wants to understand Agile development on a new level. Even if you already use agile development in your software design, this book will help you understand and use the tools available to you on a new level. The Agile Samurai is the book I wish I’d read before I started my last agile project. The chapters on agile project inception alone are worth the price of admission. Founder and CEO, Industrial Logic, Inc.
Maybe a few stodgy, grumpy types will turn their noses up at the fun tone. The truth is they don’t deserve a book this good. 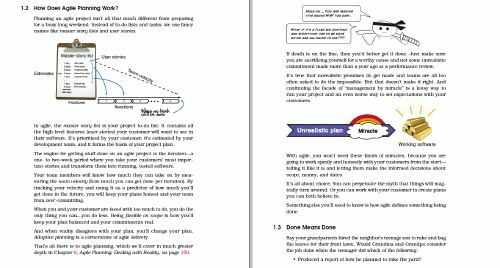 The Agile Samurai is exactly the book you and your team need to understand and deliver using the agile method. It makes the concepts tactile for everyone from the highest level of leadership to the people pushing forward on the front lines. The Agile Samurai helps you steer an agile project from start to finish. No agile toolkit would be complete without this book. This book was written with the insight and clarity that can only come from a person who has proved these techniques in the trenches. I have read many books on agile software development; this is by far the most engaging, easy to read, and just plain fun of them all. Get ready to sharpen that sword! If you want a guide to agile projects backed by real-world success stories and battle scars, read this book. JR brings us an easy and humorous read that covers almost any question you may have on agile and how to make it work. His content is sincere, simple yet comprehensive, realistic, and honest about common pitfalls teams will likely encounter. A great read!